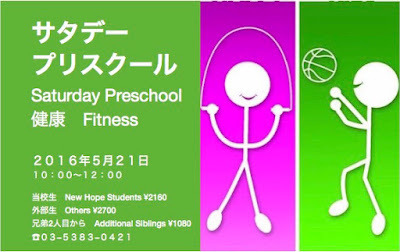 New Hope International School: Saturday Preschool on May 21! Saturday Preschool on May 21! 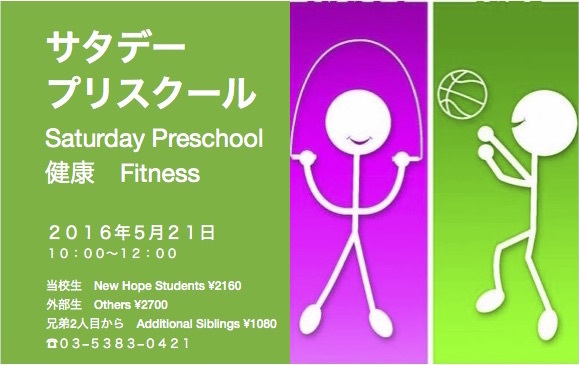 May 21 from 10:00 to 12:00 is our "Fitness" themed Saturday Preschool. Come enjoy songs, games, active play, and snack time--all in English!